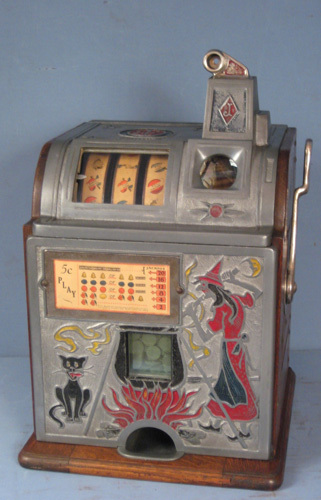 I am looking for a slot machine that will work on English Pennies. I prefer working mechanical models, no electric or mechanical-electric hybrids. Are you looking for old big pennies or new ones? Looking for Allwins also or not? I am looking for one that takes the large old penny. I have about 1000 that date from 1861 to 1967 (the majority are pre 1930). 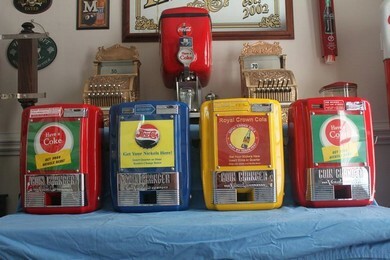 Seems like a waste to let them sit around when a slot machine will give them the use they need. I have a clock, a Challenger, a Little Stockbroker (cast iron), and a couple Fayre Wins, which are Allwins. Where are you located? I am near Fayetteville, North Carolina. Toydoc, please send a pm with pictures and asking price for the slots you mention and also where you are located. Thanks!